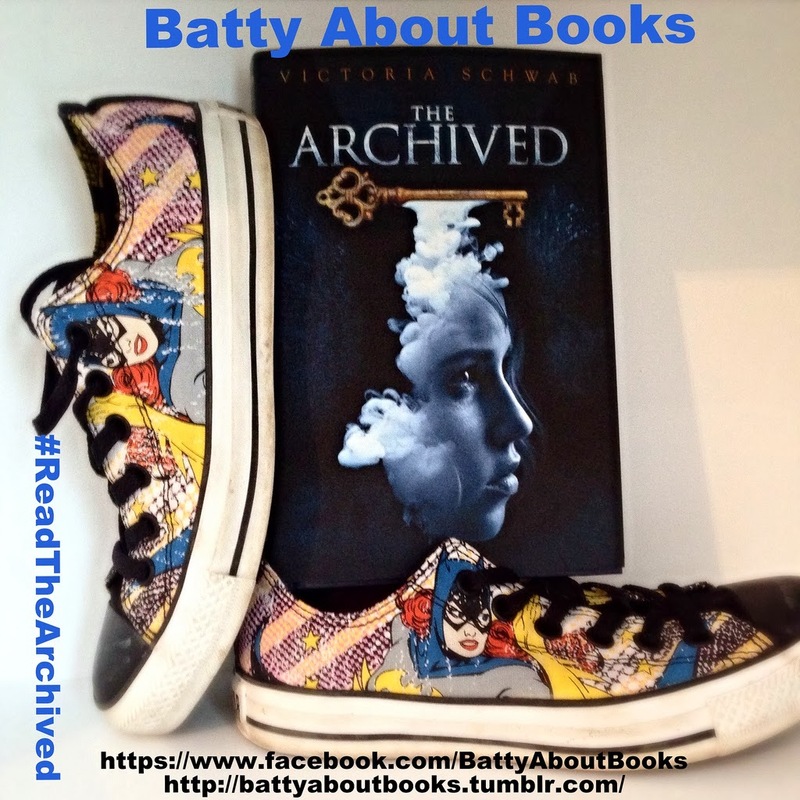 Maria's Mélange: Batty About The Archived - Oh, that End! Batty About The Archived - Oh, that End! Welcome to back all those who decided to do a read-along with Batty. Welcome to those who are just stopping by the blog to hear about The Archived. Today’s post is as spoiler free as possible. We are discussing the first chunk of the book. If you haven’t read that section yet, feel free to either read and join in the chat or wait until you’re done and come back. For those of you who are new to our Batty Chats - Maria’s thoughts with Kathy’s responses are hosted here on the Melange. Kathy’s thoughts with Maria’s responses reside on The Brain Lair. Take a peek at both of sides and add your own voice into the mix! I can’t believe that the journey is already over (though I’m excited I already own The Unbound). I know at the end of the second section I wasn’t sure how it was going to be able to wrap up all the questions I still had, but I was pretty pleased with how complete the book felt by the final page. Sometimes a series leaves too much hanging at the end of the first book, and it feels like it should have just all been in one bigger book. While I still have things I want to know about the world of The Archived, and I’m psyched to read the next book, this ending felt satisfying. Kathy: Agreed. Even though I have The Unbound, I don’t feel like I HAVE to read it (though I will at some point). My post was going to be on answers to questions I have but then I realized that she ANSWERED most of my questions and I couldn’t do the post without spoiling the book! Now for the biggest challenge - discussing my thoughts clearly but without ENORMOUS spoilers. Hmmm… let’s start with the things I’m pretty sure won’t be spoilers. Even more than the idea that History should be preserved, the question of “what is Truth?” winds through the whole story. We constantly question whether omissions count as lies. We struggle with Mac as she has to conceal her true self from her family. We rejoice as she finds she can share at least part of her truth with Wesley. She tells so many lies that she finds it hard to know who to trust, and the mistakes she makes here are also fascinating. Kathy: I chose this same quote to talk about Why Da Chose Mac! And I talk about the struggle to honor the memories of our loved ones without losing ourselves, which I think Da knows Mackenzie will eventually understand. I absolutely loved this exchange. Mac’s story is just as much about discovering herself - her own personal truth - as it is about The Truth. She makes plenty of mistakes. She has to learn to accept and forgive the mistakes of others. She’s tricked and hoodwinked and has to learn to live with that. She was given adult responsibilities so young, but she really blossomed into her role. I can’t wait to see what the next book brings for her. Kathy: This is the lesson we want to share with everyone in the world. You.Will.Mess.Up. the testament lies in fixing your mistakes, if it’s possible. If we accept this but don’t give up the struggle, life is enjoyable and exciting. I love that she gets up, brushes herself off, and does what needs to be done. Yes! I think this is why, in the end, I think Mac is a fabulous example and hero. Okay, so I’m going to avoid actually saying what the surprises are.. just in case folks are reading this and don’t want spoilers. When a secret comes out in a story, or a mystery is cracked, there are really only a few possibilities. 1) You already mostly guessed it, but it’s still satisfying to be proven right. 2) It was so obvious to you that the reveal feels unsatisfying. 3) You totally didn’t guess it, but the pieces fit together nicely and it is satisfying. 4) It is so out of left field that you just shake your head and can’t accept it. -- The part that tied into who was behind the disturbances in the Archive itself felt a bit “out of left field”. I didn’t feel like there were enough little tidbits along the way to really help me resolve this one in my head as a perfect “a ha”. Maybe on a re-read it will fit together better? Kathy: Either I was dense twice or the answer is “no, it didn’t fit together better.” I’m hoping it’s choice number two. Ah well, even a wonderful book can’t be perfect, right? -- The part (and person) that tied into the deaths in the Coronado felt right. I really didn’t guess that this was the truth behind Regina’s death, BUT there were some clues that things were wonky in that last third of the book that clicked together nicely when it was revealed. There were also some non-book clues that started me down this path as well. I read some information about some of the characters that made me begin to question my original assumptions. Not spoilers, per se, just hints. So I didn’t mind. Kathy: There really was only one part I was surprised at and it was about Regina but the other parts I felt were coming because it was the thing that made sense about that person. Kathy: I was also surprised and it answered a question I had about Keepers being promoted and lifespans. I am so happy we chose this book, and I can't wait to get into The Unbound. Next up.... Not a Drop To Drink! 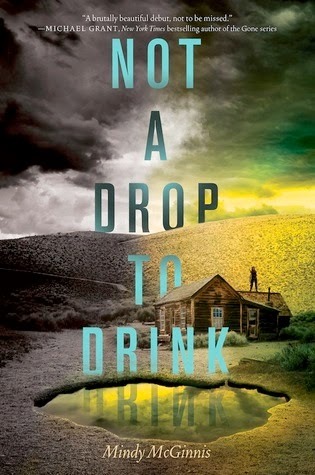 It's on my #MustReadin2014 list because so many friends told me that I just HAD to read it!